Join us for an invigorating and intensive 3-day learning experience with all 3 RWID presenters onsite to answer your questions! Rhythm Works Integrative Dance is a rhythm and dance program that incorporates evidence-based practices from sensory integration, applications to physical skills, and behavioral strategies. For more details, please review the product description below. INCLUDED: The 377-page Instructor Manual, access to The Rhythm Works Society, supporting program music, and a listing on our website as a Certified RWID Instructor with a direct link to your company. 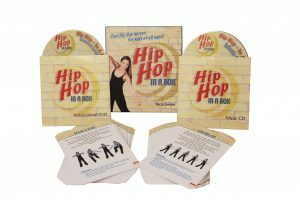 Hip Hop In a Box is used by over 2500 dance & academic schools around the world for choreography inspiration, class activities and teaching aids! 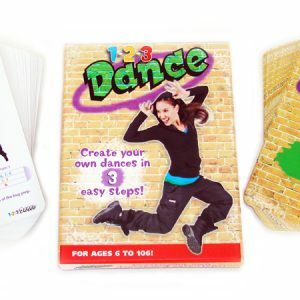 Add any style to the steps to create unlimited variations of dance routines! Hip Hop In a Box is perfect for ages 3 through adult! 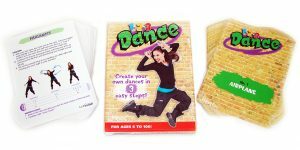 Also check out 1-2-3 Dance for 50 additional dance steps!!! Hip Hop In a Box was created by Tricia Gomez, former LA Laker Girl and star of CBS’s “Dance Revolution.” Currently, Tricia is a consultant for Disney Performing Arts at Disneyland. Create your own hip hop routines in 3 easy steps! 1) Choose your favorite Dance Step Cards. 2) Lay them out in a straight line. …then add your favorite style when you DANCE to your favorite song! It’s that easy! 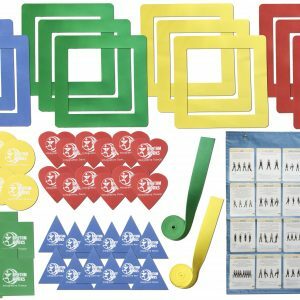 1-2-3 Dance includes 50 Mix-n-Match Dance Step cards, each with move-by-move pictures, verbal descriptions, 3 different dance levels, and step modifications. a SECRET CODE to access our secret website filled with instructional videos, downloadable music, sample routines, and rhythm lessons! 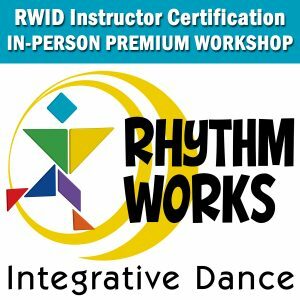 1-2-3 Dance is perfect for teachers who currently teach or wish to teach hip hop to ages 3-adult. 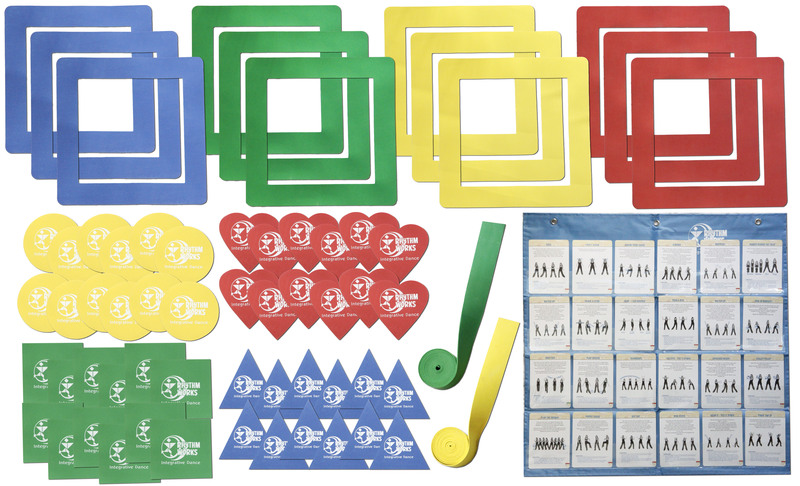 Get inspiration from the Dance Step cards or use the cards as choreography activities with your students! And any style to the steps to create unlimited variations of dance routines! 1-2-3 Dance is also great for students preparing for talent shows! Our age appropriate steps will get the crowd up and dancing with you! 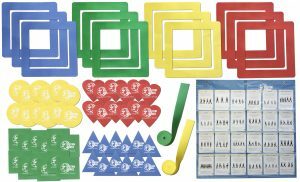 This 63-piece visual aids kit provides the tools you need to make learning easy! We all learn differently and using visual cues provides an enhanced learning experience for your students. Use the floor pads, place holders, and strips during rhythm lessons, across the floor, center floor work, and games! The possibilities are limitless! 1 hanging card holder – holds up to 24 Hip Hop In a Box and 1-2-3 Dance flashcards. Hang it on your mirror or wall for your students to easily see the order of your dances! Everything you need at your fingertips! 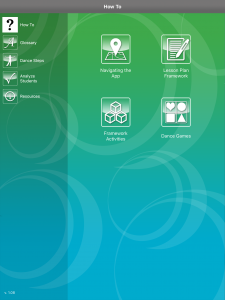 The Teaching Guide App is the perfect companion for both the Hip Hop Made Easy and Rhythm Works Integrative Dance programs. This comprehensive app is designed for iOS devices and online access only (see differences below) and is available for dance educators, therapists, teachers, medical professionals and more! Framework Activities...While the class framework remains the same from class to class, the activities within each "pod" of the framework can be customized to suit the needs of your students/clients. 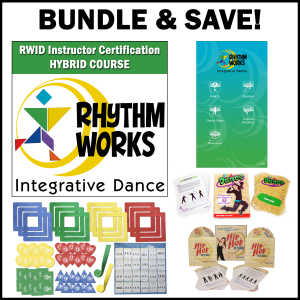 In this section, you'll find a multitude of activities for teaching music theory, rhythm lessons, warm ups, and choreography structure. Dance Games...We take fun & games seriously! Here you'll find a wide variety of dance games for individuals, groups, basic and intermediate levels. Each game denotes the skill sets involved, objective, items needed, set up, boundaries, directions and modification. Terminology...common words used throughout the app are explained. Categories...here we explain what our dance step skill set categories mean. Dance Step Videos...each of our 150 program dance steps are broken down and performed for basic and intermediate pacing. Teaching Tools...find helpful tips, further learning suggestions, downloadable coloring pages and more! Sign Language...watch videos to learn sign language for common words used in class. Music Suggestions...an ever growing list of our favorite "family friendly" hip hop and follow along songs. Analyze Students (This feature is only available on the iOS Device app. It is not available for the online version. )...record and compare, side-by-side, videos of your students vs. our syllabus videos for proper technique, or past and current videos of your students to see improvement. Mark up the videos with our handy note tools to compare angles or point out areas of improvement. Easily organize videos for each student into their own folder housed on the app for quick retrieval. CERTIFIED RHYTHM WORKS INTEGRATIVE DANCE INSTRUCTORS RECEIVE up to 70% OFF APP PRICE!! !